Do you like to roll one up and pretend like you’re smoking in Middle Earth? Sorry, dumb question. Of course you do!! Cuz hobbits love dat cheeba! Okay, so this is a crazy ashtray. But you know what’s cool? Crazy ashtrays. I think you’ll enjoy it. BUT WAIT! There’s more! It even has a candle holder. So what are you doing still reading this? 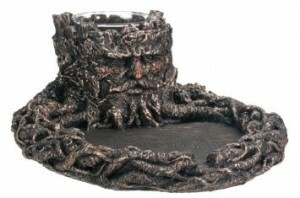 Go get yourself a ridiculous Bilbo Baggins ashtray/candle holder already!